Amanda Antwi-Nsiah is currently a student in her final year at the University of Calgary working to complete a Bachelor of Arts in Geography. She hopes to purse a Bachelor of Education after completing her undergraduate degree. In terms of her musical interests, Amanda enjoys choral singing and she recently joined the University Chorus at the University of Calgary. Amanda also enjoys taking piano lessons and trying to teach herself piano in her spare time. Some of Amanda’s other hobbies include watching sports, watching YouTube videos, doing track and field, playing basketball, and swimming. 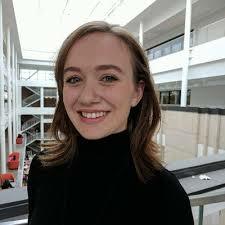 Helen Pethrick is an Honours undergraduate student studying Health Sciences and Anthropology at the University o Calgary. She is a Research Assistant for the Hacking Disability in Music Education study. In this paper presentation we will discuss our preliminary findings of an ethnographic study on Monthly Music Hackathon New York City (MMHNYC). MMHNYC is a re-occurring non-competitive event where coders, software\hardware designers, educators, and musicians gather to engage in the process of “hacking,” which means that participants form small groups and work together to try and come up with a solution to a problem in a short span of time (~7 hours). Of particular interest to our research team is how participants at these events conceptualize “disability in music” and how, if at all, they design for disabled persons. Our preliminary findings suggest that the ethos and processes of hacking observed at MMHNYC could benefit music education practices by making them more accessible and inclusive to a diverse population of learners.